ting married at the Crowne Plaza hotel in Reading, and looking for a pianist? Locally based pianist Simon Jordan is your ideal choice. This piano player has performed on the grand piano at the Reading Crowne Plaza (Caversham) many times – most recently playing Christina Perri’s “A Thousand Years”, John Legend’s “All Of Me” and Pachelbel’s “Canon” for a wedding event. 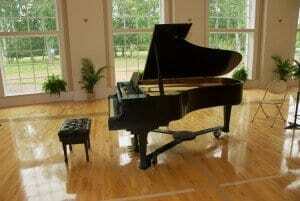 Music YOU choose for YOUR day – no set lists of music to choose from, this pianist will play anything and everything. A professional musician who will put the same care and attention into your day as he did his own wedding. The Peace of Mind and security of dealing with a long established, wedding specialist performer, who has played at many wedding venues in Reading and throughout Berkshire. All the communication about your function you need – music played over Skype or FaceTime in advance of your ceremony or reception so you can double-check it works! Click here for testimonials from recent newlyweds. And go to this page for more information about the pianist Simon Jordan.